In Nepal and India, urgent relief is still needed. 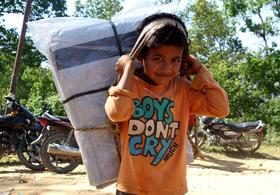 We continue to provide the most urgent needed relief–medical care, shelter, household items. But, the rainy season is coming and those who have been devastated by the earthquake will be in desperate need again. With World Relief, we are sending tarps, rope, jerry cans and water purification to protect about 7,000 families (more than 30,000 people) against the monsoon rain and the diseases that inevitably follow. It is a struggle against time to provide protection to all those who are living in the open, either because they do not dare return to their homes fearing they will collapse, or simply because their homes are not there anymore. When rain starts to pour over the collapsed buildings, it will mix with sewer water, rats, and dead livestock and become mud, and there is risk of epidemic outbreaks. As always, our relief efforts focus special attention on the most vulnerable groups–including children, women, the elderly, people with disabilities, and marginalized people groups. 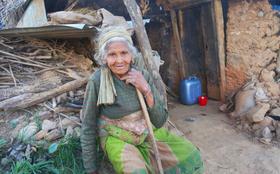 Uijali, at right, is 84 and is one widow in the community who has received relief supplies and assistance from the community. In preparation for the rains, we will continue to distribute appropriate and safe temporary shelter, non-food items like pots and pans for cooking, and basic hygiene and sanitation supplies. We will continue to work with partners on clean water solutions that are appropriate for post-earthquake conditions. Continue to pray for and give to CWR’s relief efforts in Nepal and India. This entry was posted on Wednesday, May 13th, 2015	and is filed under Disaster Relief.